"They said I must die. They said that I stole the breath from men, and now they must steal mine." Set against Iceland's stark landscape, Hannah Kent brings to vivid life the story of Agnes, who, charged with the brutal murder of her former master, is sent to an isolated farm to await execution. Horrified at the prospect of housing a convicted murderer, the family at first avoids Agnes. Only Tóti, a priest Agnes has mysteriously chosen to be her spiritual guardian, seeks to understand her. But as Agnes's death looms, the farmer's wife and their daughters learn there is another side to the sensational story they've heard. 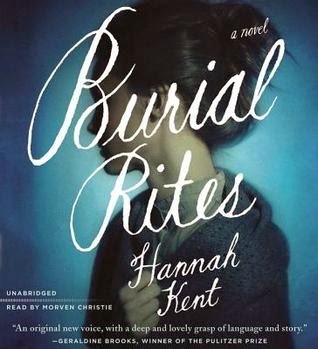 Riveting and rich with lyricism, BURIAL RITES evokes a dramatic existence in a distant time and place, and asks the question, how can one woman hope to endure when her life depends upon the stories told by others? I LOVED this book, and I can't stop thinking about it. I waver between giving it a full 5-star rating, but I can't make up my mind. I can't even really put my finger on why I loved it so much. Okay, I do know one reason: I read the audiobook, and the narrator was phenomenal - perhaps one of the best I've ever heard. I loved the emotion she could put into her voice; she was just like a stage actor, playing the role wholly and entirely. I've just looked her up - Morven Christie is her name, if you are interested in checking out any of her work (although it appears from Goodreads that she's only recorded two books so far!). Outside of the narration though, what tied me so strongly to this book? It's funny, actually - at first I had a really difficult time getting past the first few pages of the physical book, which usually is not an issue for me. But the legalese seemed very dry to me, and I couldn't understand how both AmberBug and my father could recommend the book so highly! But once I got past that point (I restarted in audio form), it sucked me right in and I couldn't stop listening. I think part of the reason is that you spend almost the entire book uncertain as to whether Agnes actually is a murderer or not. It's a mystery you desperately want to resolve, because you (along with her host family) come to really care for her, and you don't want to see her executed - innocent or not. Agnes really endears herself to the reader (as well as several characters in the book), and you start to believe that she is incapable of murder - but is she? There are so many conflicting accounts to consider. The resolution of the book is pretty staggering, and I can't recommend it strongly enough. Watching the relationships develop between Agnes, her captors, and her confessor is just so real and so poignant. And what makes it even better is the Author's Note at the end, which indicates that the book was based upon a true life story which has become something of a legend in Iceland. I think that added level of a reality-based story (Kent did a lot of research, and her account could very well be close to Agnes' true story) is what really made the book so great. I think the author did an excellent job of establishing a possible and feasible background for a real-life mystery. Love your design, and your posts are fantastic. I love the way you do your reviews. I loved Burial Rites too. And....good luck being a correspondent for the Armchair BEA. I am sure it will be so much fun. Thank you Elizabeth! Will you be attending BEA or participating in Armchair BEA? You can e-mail me if you like. My e-mail is on my blog. It will be fun to meet you. I met Shelia last year at the Book Blogger's Conference. Send me an e-mail if you like. Share book reviews and ratings with Arianna, and even join a book club on Goodreads. 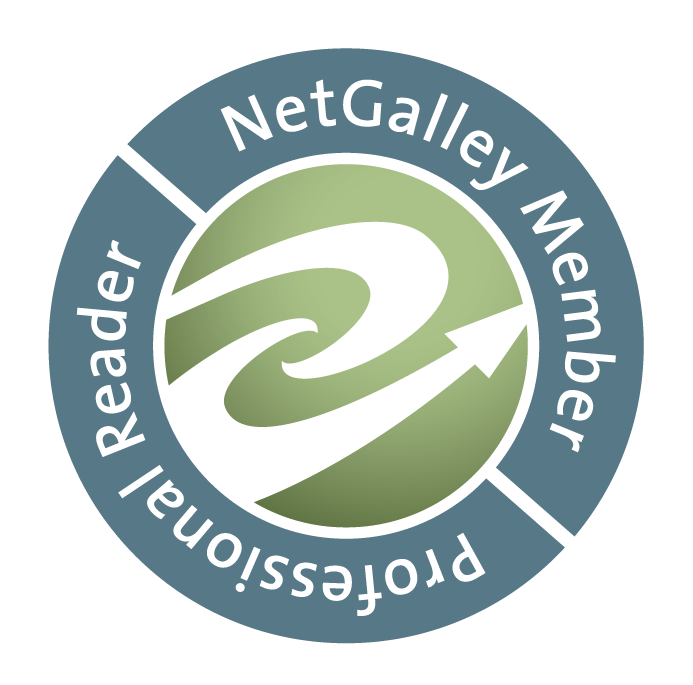 Share book reviews and ratings with AmberBug, and even join a book club on Goodreads.